AOL’s People Networks division has today announced the launch of social networking site Bebo, which it acquired almost exactly one year ago, in several key European countries such as France, Germany, Italy, Spain and the Netherlands. Before, Bebo was only available in English and for some reason also Polish, but now it will use IP-based geo-targetting to cater services in users’ mother tongues. 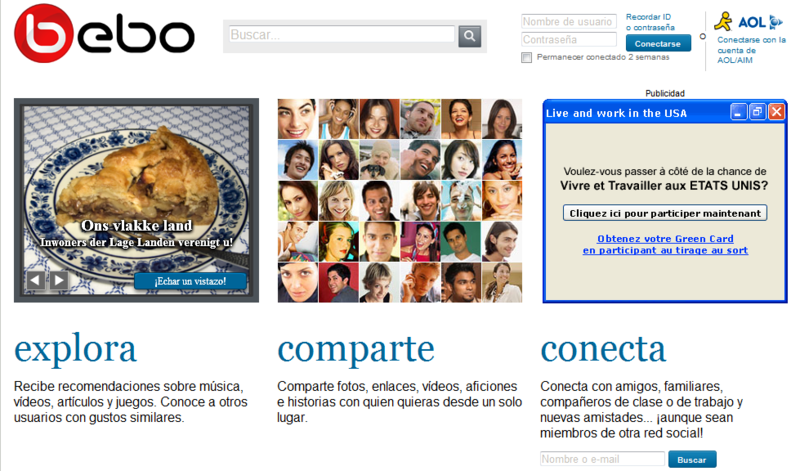 It launched a latino site for U.S.-based users just last week. Successfully rolling out social services across Europe is never an easy feat to accomplish, and Netlog and Facebook have a pretty strong foothold here, as does MySpace, although the latter appears to be struggling with their expansion strategy lately. Bebo is doing it the smart way – which is of course no guarantee for success – by teaming up with local media partners. Bebo is partnering with AlloCiné, RTL’s Clipfish, Telecom Italia owned Yalp!, Diagonal View and Preview Networks’ Filmtrailer, which will all be incorporated in Bebo’s Open Media platform. Bebo is planning to let these and additional media partners put a button on their websites that lets users share content on their profiles via status updates. That’s the right strategy in my opinion, but they will find that competing against both the big boys who’re already present throughout Europe as well as the local players who’ve been around – in many cases – since the turn of the century, will be a long, hard battle. Those who have been following the developments in social networking services here in Europe, as well as the rough decline of online advertising budgets in general, would tell them the same. Bebo forms the centrepiece of the AOL People Networks business unit. People Networks’ collection of community platforms help improve people’s lives by connecting them with everyone and everything they care about. People Networks does this through a web-based experience on Bebo.com, through desktop clients and mobile devices. At the heart of People Networks is the Lifestream, a real-time, platform for aggregating and distributing social feeds across mediums. It will be interesting to look back in a couple of years and see if Bebo made the right decision at the right time, but I have my doubts about their capacity to effectively compete in Europe starting this late in the game.